We can agree that depression meds aren't a magic cure. So where do we go from there? Publishing – and not just nature – abhors a vacuum, and the chasm between Peter Kramer (Listening to Prozac) and the assorted others who sing the praises of psychopharmacology, and the group led by folks like Eric G. Wilson (Against Happiness) who believe depression is good for you, certainly was airless. It was only a matter of time before the industry tried to fill the gap with books that acknowledged people’s growing distrust of Prozac and its brethren but also their belief that depression is something that should be fought and eradicated. 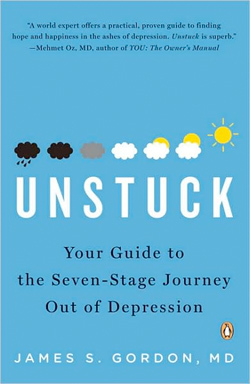 Unstuck: Your Guide to the Seven-Stage Journey Out of Depression by James S. Gordon. Penguin. 448 pages. 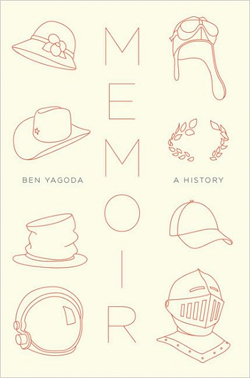 $16.00 (new in paperback). 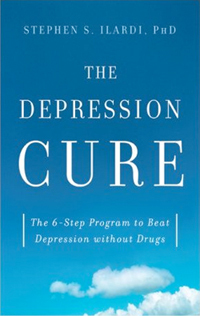 The Depression Cure: The 6-Step Program to Beat Depression without Drugs by Stephen S. Ilardi. De Capo Lifelong Books. 304 pages. $25.00. The last few years have seen plenty of books about the evils of the pharmaceutical industry and its manipulation of the psychiatric community, as well as a few cognitive behavioral therapy self-help books – proven not to be all that helpful. Hidden in all of that noise was the information that antidepressants, especially the SSRIs (selective serotonin reuptake inhibitors – the most popular form of antidepressant on the market), don’t really work all that well. After years of wide acceptance of SSRIs, specialists’ calling them magical cures, massive prescription rates (over 150 million written each year), and doctors’ claiming that therapists who aren’t recommending SSRIs should be prosecuted for malpractice, books like Medication Madness and Talking Back to Prozac and America Fooled: The Truth About Antidepressants, Antipsychotics and How We’ve Been Deceived started pointing out that the efficacy rates for SSRIs were the same or lower than placebo in a majority of the studies. Patients taking Zoloft, Prozac, and Paxil were evaluated after six months of treatment, and it was found that only 23 percent had recovered. The average success rate seemed to hover around 25 percent. The Federal Drug Administration has refused to approve any more of these drugs their manufacturers can bring those rates to higher than the placebo. Enter the books that face depression as a disorder that the afflicted are meant to overcome, but with methods that do not include antidepressants or traditional talk therapy. Two of these books – Unstuck: Your Guide to the Seven-Stage Journey Out of Depression by James S. Gordon M.D. and The Depression Cure: The 6-Step Program to Beat Depression Without Drugs by Stephen S. Ilardi, Ph.D. – are representative of this new approach. While being similar in many ways – everyone is very pro-omega-3 fatty acid supplements – they blame different things for the spread of depression and their approaches split off into different directions. Unstuck opens with the declaration that “Depression is not a disease.” It’s a controversial stand to take after years of being told the opposite. The arguments for and against calling depression a disease are similar to that of calling addiction a disease. Opponents think the label robs the addict or the depressive of their power – and absolve them of any bad choices that led to their downfall. Of course the pharmaceutical industry would love for everyone to accept depression as a disease – every disease needs a medical cure. But psychiatrists, patients, and their families have also fought for this relabeling in order to reduce some of the stigma involved in mental illness. After all, you don’t blame a kid for his leukemia, do you? Of course, the depression-as-disease people don’t have an explanation for why depression is currently reaching epidemic proportions. 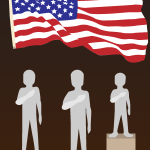 In America, 25 pecent of the population will be clinically depressed at some point in their lives. The rates are growing around the globe, including the developing world. Since it’s not contagious, and the genetic predisposition can’t explain the fast, far-reaching spread, it has to be something else. These newer books acknowledge that some people are born with a genetic predisposition to depression – once again sharing language with addiction – but that some variable has to enter the picture in order to trigger it. The Depression Cure blames our contemporary culture, while Unstuck focuses its attention on the patient. The Depression Cure’s Ilardi looks at the new knowledge we’ve gained about the human brain and sees that it is built for resiliency. The more we learn about plasticity, the more we realize just how flexible we really are. The problem is that many aspects of our culture destroy that resiliency, and so modern man is unable to bounce back from both daily stressors and tragedies. Wear a person down enough, and depression sets in. He focuses on social isolation, bad diets, sedentary behavior, lack of sunlight, poor sleep habits, and overstimulation of the fight or flight mechanism. Ilardi believes that perhaps the most important thing a depressive can do is start taking an omega-3 supplement. “The extraordinary rise in depression rates over the last century has closely mirrored the disappearance of omega-3 fats from the Western diet,” he writes. Omega-3s help in a few different ways. Neurons that are starved for omega-3s scramble both dopamine (a chemical messenger that works in the frontal cortex) and serotonin (another chemical messenger that can regulates the brain’s stress response), and the fats also help prevent inflammation. Ideally, a person’s intake of omega-3s – found in leafy vegetables and fruits – should be equal to their intake of omega-6s – found in seeds and grains. As our livestock has moved from free-range, grass-eating to grain-fed, all while our diets become overwhelmed with white flour and high fructose corn syrup, we consume on average 16 times as many omega-6 fats as omega-3. For years, doctors have highly recommended omega-3s for mental illness after seeing how it assists brain function. It makes sense that a drug-free regimen would include these fish oils. In his book Loneliness: Human Nature and the Need for Social Connection, John T. Cacioppo and William Patrick outlined how loneliness can mimic many of the signs of depression and can lead to depression if left unmanaged too long; Ilardi concurs. 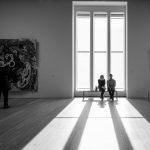 The human being is a social creature and is not made for sitting at a computer all day, only catching up with friends over Facebook or Twitter, rarely having a face-to-face conversation or the touch of another human. Sitting in a cubicle under florescent lighting also leads to sunlight deprivation, which can disrupt sleep patterns, and the vicious cycle begins. Ilardi advocates for group therapy, regular exercise, a new dietary regimen with nutritional supplements, and soak in more sunshine and get a proper night’s sleep. Any one of these changes has the same efficacy rate in beating depression as an antidepressant (around 25 percent), but combined – so he tells us – an overwhelming percentage of depressives can reach full recovery. Gordon does come close to saying that depression is good for you – although for him the good seems to come from overcoming it, and not from wallowing in it like the Eric G. Wilsons of the world. His view seems to be colored from his own depressive episode. Once, for a few months, and after a break-up and realizing his career path was not right for him, he became depressed. It was not an episode that recurred. It’s a traditional, Freudian view of mental illness, even if he acknowledges that traditional Freudian therapy does nothing for depression and occasionally makes it worse. Those who have suffered recurring, meaningless bouts of depression might want to reach for The Depression Cure rather than Unstuck, especially those sick of hearing how they should search their mental illness for wisdom.